Genetic analysis of a 37,000-year-old human bone from Russia suggests widespread intermingling during Paleolithic times. The 37,000-year-old remains of a Russian man known as Kostenki 14 have yielded DNA that helps show how humans spread throughout ancient Europe. Modern Europeans have genetic ties that bind them together much further back in time than once thought, scientists report after analyzing a prehistoric Russian man's DNA. Scraps of DNA harvested from a tiny fragment of the man's 37,000-year-old leg bone show that, genetically speaking, he was remarkably similar to people living in Europe today. The man's genes include signature traces of DNA long thought to have been part of separate movements into Europe, says Eske Willerslev, a geneticist at the University of Copenhagen and co-author of a study published Thursday in the journal Science. The findings suggests that Europe's past wasn't marked by waves of migration when people met, clashed, and mingled; rather, people arrived in a single event or as a continuous flow over millennia. The leg bone belongs to a hunter-gatherer found at a Russian site called Kostenki, not far from the city of Voronezh. Excavated in 1954, the Kostenki bone is one of the oldest specimens of a modern human found in Europe. 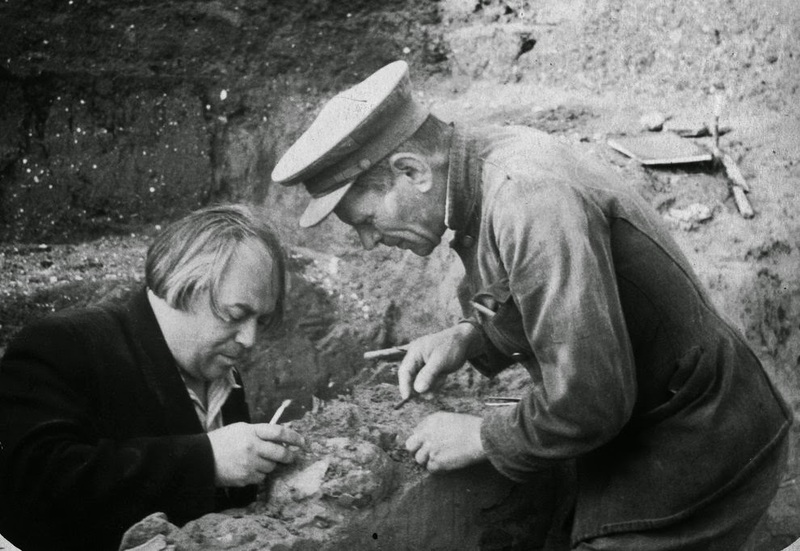 The Kostenki fossils were excavated in 1954 by a Russian team led by A. N. Rogachev (left) and are among the oldest for modern humans in Europe. Archaeologists and geneticists have long debated who the ancestors of modern Europeans are—and how, and when, they arrived. It's typically been a tale of migration and invasion, of people moving into Europe in waves that left distinct genetic signatures behind. First, the thinking goes, there were groups of hunter-gatherers, moving from Africa into Europe beginning about 40,000 years ago. Much later, a separate group of farmers and herders from the Middle East made their way north, eventually out-competing the hunter-gatherer locals and forming the basis for the European genome we see today. The introduction of agriculture by this second wave of people—the so-called Neolithic Revolution—was such a pivotal moment in prehistory that it can be seen in both artifacts and genes. The new results add a surprising wrinkle. Genes once thought to have arrived with the first farmers, for instance, now seem to have been around much earlier. "Until now, it seemed clear this was something that came into Europe during the Neolithic," says Pontus Skoglund, a geneticist at Harvard Medical School. "It's an extremely interesting suggestion that they have." While the results challenge our understanding of Europe's past, they seem to confirm what geneticists have said more broadly about human migration out of Africa. Looking at the genes of modern people around the world, researchers see three major movements out of Africa: first a group that wound up in what is now Australia and the Pacific Islands, then a population that settled in East Asia, and finally western Eurasians, or Europeans. 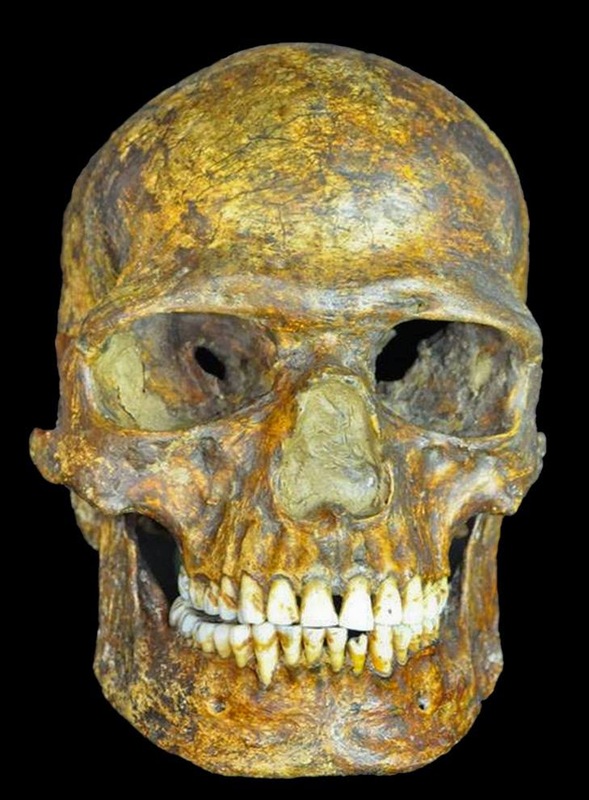 And indeed, the Kostenki man's DNA shows that he was unrelated to East Asians or Australo-Melanesians, suggesting that the populations diverged more than 37,000 years ago. The new find complicates a picture of Europe's deep past that geneticists thought was becoming clearer. "We all thought you could sequence these bones and come up with a simple story. This paper really shows things are not as simple as people thought they were," Willerslev says. "Europe has always been a melting pot."